Having a great safety record in your workplace is good for your employees and for your business and you should be rewarded for that in your insurance. 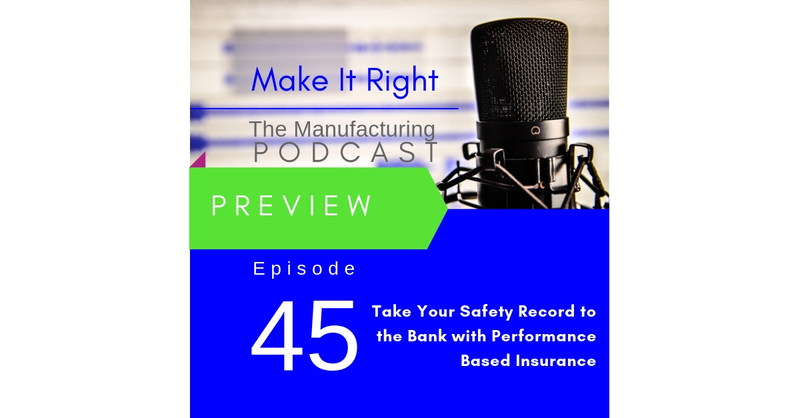 This week we look at how Performance Based Insurance rewards “safe” companies by returning some of their premiums to them and Janet’s guest Bob Phalen outlines why you probably have never heard of this type of insurance. Listen to the full show this Friday on the Make It Right podcast.